Oceanview two bedroom | 670 sq ft | Rates based on double occupancy. A magnificent panoramic view of Discovery Passage and the coastal mountain range, has made this our most popular cabin at Dolphins Resort. 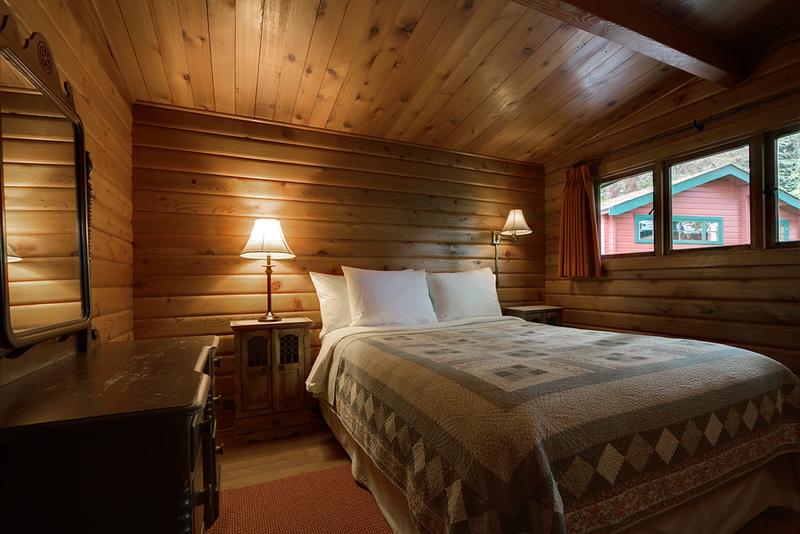 This two bedroom, one bathroom panabode cabin features a queen bed in one room and two twin beds in the other. 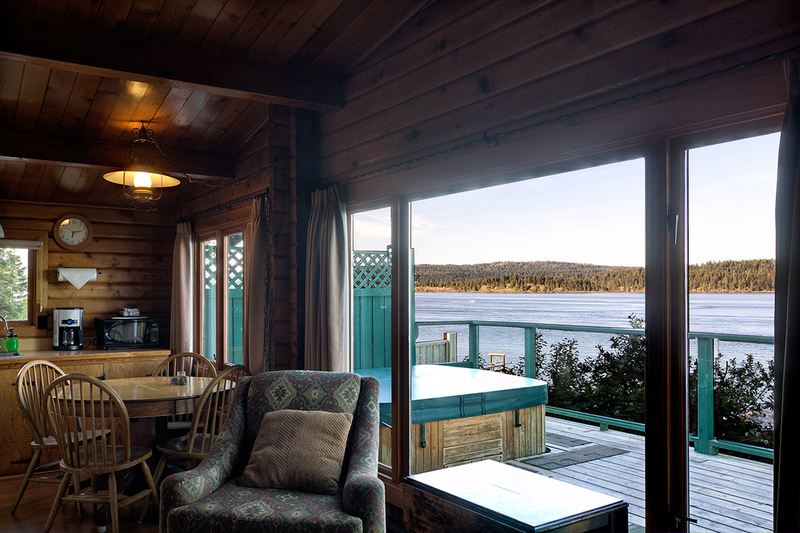 Relax in this oceanview cabin with its fully equipped kitchen supplied with fair trade coffee and teas, flat screen cable tv, sofa bed and wood stove, with an evenings supply of firewood included. 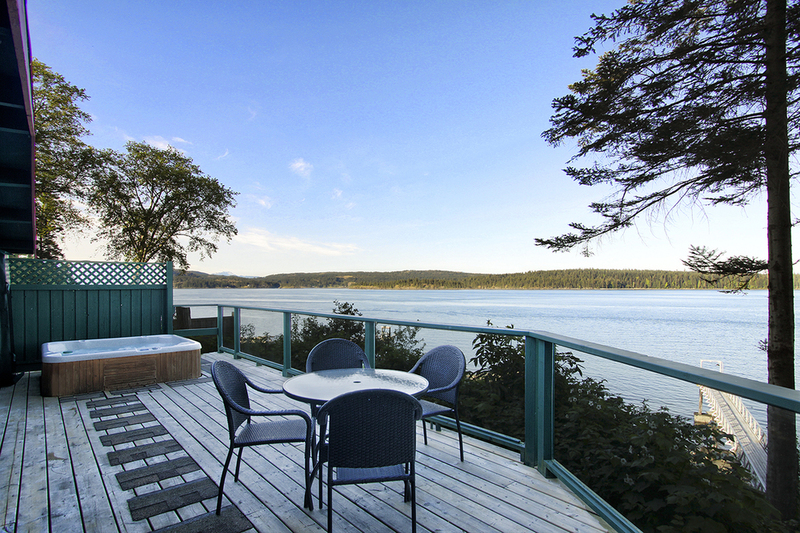 Enjoy the breathtaking view from indoors or on the oceanfront deck while relaxing in the private hot tub. Maximum of 4 guests. Each guest over the double occupancy is an additional $20 per person, per night + tax. Children 6 years and under stay free. Reservations require 50% deposit, which are refundable prior to 14 days of arrival and subject to a $25 admin fee. Cancellations after 14 days are non-refundable. There is a 2 night minimum stay on weekends and during the summer (June 15-Sep 14). Pets are always welcome, $15 per night and $25 for 2 pets per night. BBQ's are available for an additional $15 per night. 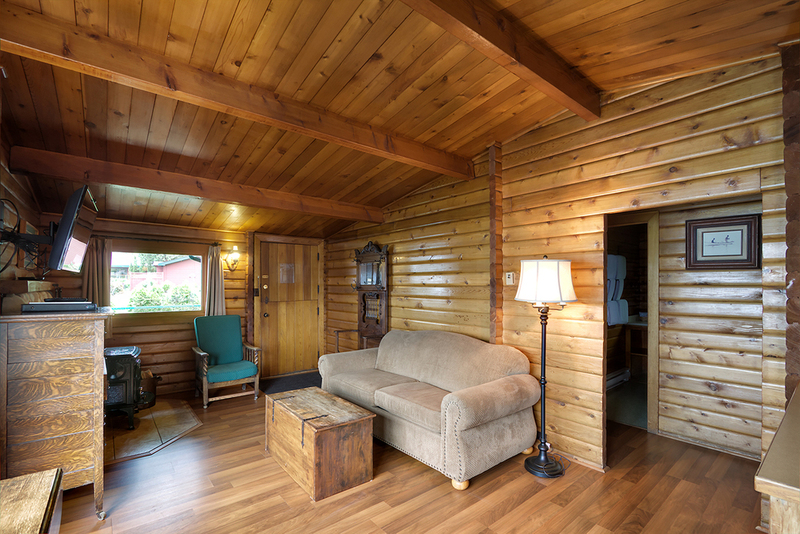 All cabins have complimentary wireless internet and are non-smoking.